I avoid probiotics that contain Saccharomyces boulardii, a fungi relative of baker’s yeast. It’s considered a fungal pathogen according to Oxford Academic and other studies. I don’t believe it’s a good idea for anyone with immunodeficiency, a history of candida infections, or a yeast sensitivity to take any kind of fungus as a remedy. I avoid probiotics that contain lots of fillers, especially common allergens and GMO’s like soy, corn, and wheat. Supplements in which you get the most potency have the least fillers. I avoid VSL #3. This high potency formula was prescribed for people with serious digestive issues. I used to take it myself, and recommend it to clients. Unfortunately, the inventor of this formula, Professor Claudio De Simone, sued his business partners after discovering they were selling counterfeits internationally. His new brand is Visbiome, and you can find it on Amazon for around $60. This isn’t my first choice only because it contains silicon dioxide, a filler I’m sensitive to. Good to know: there are only 2 fillers and no GMO’s in his product. Nature’s Bounty Probiotic CD (Controlled Delivery), $10. This is one of my favorite probiotics. It only has a few fillers (Vegetable Cellulose, Pectin, Sodium Carbonate. Contains <2% of: Guar Gum, Turmeric (Color), Vegetable Stearic Acid) and a nice blend of 2 billion live cultures. Once opened, it needs to be refrigerated. Klaire Labs Thera-Biotic Detoxification Support, $60. Hypoallergenic and non-GMO. Contains a blend of 3 high potency species totaling 50 billion probiotics. Klaire has several probiotic formulas, and I recommend any of them. They’ve had a consistent good track record for quality. Most of these formulas need to be refrigerated. Renew Life Ultimate Flora Probiotic, $15. No common allergens, the only ingredients aside from probiotics is the vegetable capsule (vegetable fiber and water) and cellulose. Contains 12 strains for digestive and immune health, totaling 30 billion probiotics. Like Nature’s Bounty CD, this formula has delayed release to help probiotics get where they need to be. Renew Life makes several probiotic formulas, you can see what’s right for you. Refrigeration is recommended but not required. I won’t travel without these babies! 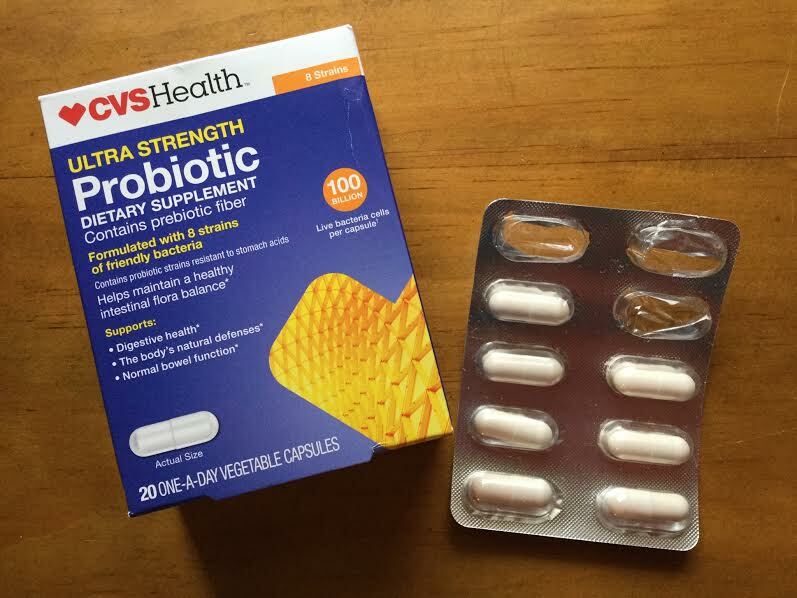 CVS Health Ultra Strength Probiotic with prebiotic fiber, $20. I never thought, a former supplement snob, that I would be recommending a generic drugstore probiotic. But when I was on the road with motion sickness that kicked up digestive issues, I needed whatever I could find. I was surprised to discover this formula is relatively clean, although it does have maltodextrin (that may or may not be GMO-derived, I haven’t called the company to check yet) and magnesium stearate that is a sensitivity for some. It works great for me, and you can’t beat that price! It has 8 strains totaling 100 billion, and the added prebiotic is a plus. Doesn’t need refrigeration. Hyperbiotics Organic Prebiotic Powder, $25. Probiotics use prebiotics as food, so it’s important to take both if your body needs help replenishing your good bacteria. I liked this powder. It has tons of good reviews, is non-GMO and free of common allergens. Though didn’t find it as effective as Klaire Labs Biotagen. Klaire Labs Biotagen, $28. I really like this prebiotic. I was concerned at first because it contains Beta-Glucan from baker’s yeast. The company told me directly that it is purified and no part of the yeast remains that can trigger an allergy. I found their word to be true, and I have a pretty severe sensitivity to baker’s yeast. It’s available in capsule and powder. The powder is hypoallergenic with zero fillers. This works with probiotics to promote a healthy microbiome and heal leaky gut. 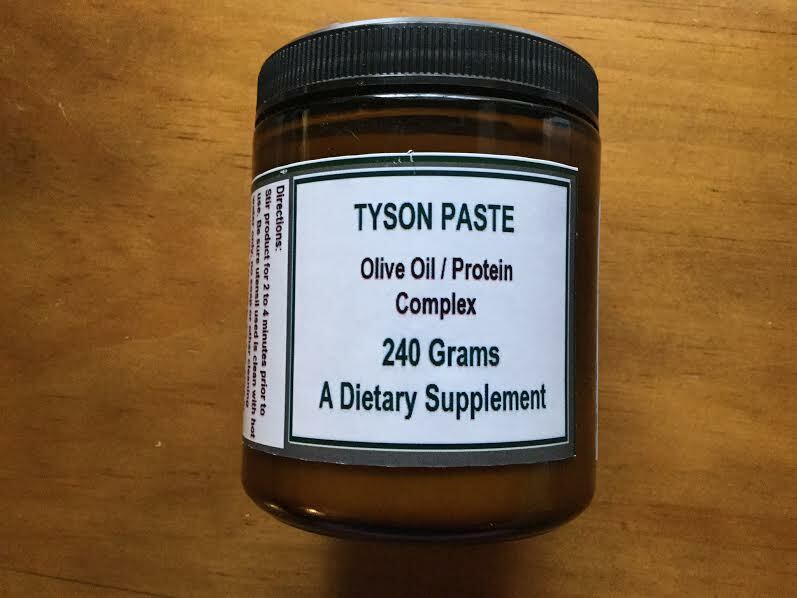 Tyson Paste, $100. Ugh, here we go again. My doctor recommending another insanely priced supplement. He kept insisting this prebiotic may help me. I resisted for months, tired of the overpriced hype in American health care. First, I spoke to it’s creator, Mr. Tyson himself. He’s in his 80’s, still working full-time, lives in Southern California, is passionate about health and adamant about the integrity of his ingredients. He was fully transparent, providing the link to the company he gets his olive oil from. The oil has been rigorously tested, and proven free of pesticides and other agricultural chemicals. He explained the other ingredient in the paste, but honestly, it was a concept I didn’t easily grasp. Something about soil? Anyway, what I do remember is that it’s natural, hypoallergenic, with no fillers and definitely no GMO’s. And Mr. Tyson claims it has helped tons of people overcome all sorts of health issues. He recommended taking it for 1-2 months, it’s not meant for long-term, although some of his customers say it’s worked so well they don’t want to stop taking it. Mr. Tyson’s own 20-something daughter takes a teaspoon every day, even though he says she probably doesn’t need it! I can’t give you my opinion about the Tyson Paste yet because I haven’t taken it long enough. I will say Mr. Tyson seems to really care about his customers. After our lengthy phone chat, he asked that I follow up with him about my progress and if any more questions come up. You won’t find this on Amazon, or even on their website. You have to call them directly to order (1-310-325-5600). There you have it, guys! This is based on years of research and experimentation, as well as physician recommendations. I hope it helps you find the best supplement for your gut and immune health. If you have a chronic condition you may want to check out these posts about repairing leaky gut and Destroying Biofilms. The formulas mentioned here work well with the Biofilm Protocol. If you tried any of these, feel free to comment below and let me know your experience. This post contains some affiliate links. I only share affiliate links to things I’ve purchased myself and feel good recommending.